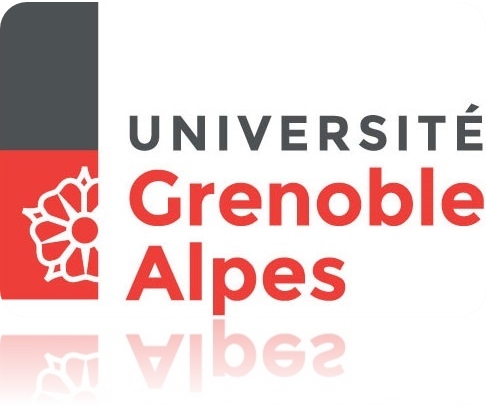 The « semiconductor and 2D spintronics » group deals with spin dependent phenomena in two important classes of materials: Si and Ge which are the materials of today’s microelectronics and transition metal dichalcogenides which are emerging 2D materials with exceptional optical and spin-orbit properties. We are studying model systems grown by molecular beam epitaxy and their spin properties. (2005-present). 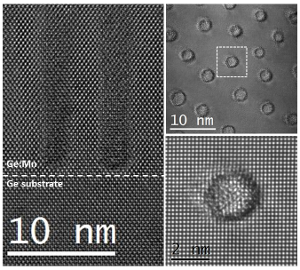 Manganese doped germanium films grown by molecular beam epitaxy undergo a nanospinodal decomposition: the system spontaneously decompose into Mn-rich areas like nanocolumns. Our research focuses on the atomic, electronic structure and magnetic properties of these nanosized Mn-rich areas. We also investigate their coupling with charge carriers to induce novel magneto-transport properties. (2011-present). 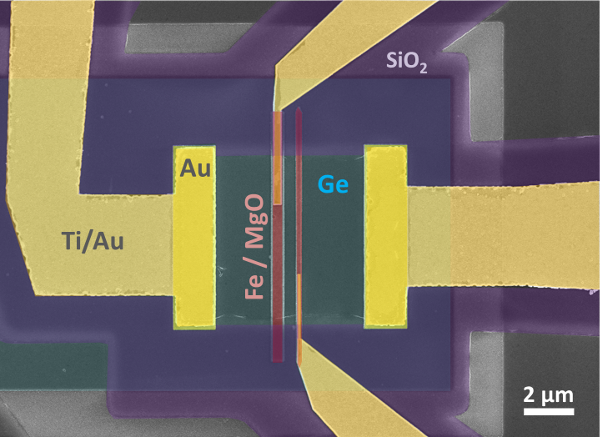 The original goal of this topic is to build the spin field-effect-transistor (FET) made of silicon and germanium. For this purpose, we study the microscopic mechanism of electrical spin injection in Si and Ge using three-terminal devices and lateral spin valves. In particular, we have investigated the influence of interface states in the mechanism of spin injection from a magnetic tunnel junction into Si and Ge. However the missing ingredient to build the spin-FET is a sizeable spin-orbit coupling to manipulate the spin state by electric fields. (2013-present). Si and Ge exhibit low bulk spin-orbit coupling and we take advantage of metal/Si and metal/Ge interfaces to create a large Rashba spin-orbit coupling to manipulate the electron spin state. Moreover, the same Rashba spin-orbit interaction can be used to generate and detect spin currents in silicon or germanium by spin-to-charge interconversion. Another class of materials we use for spin-to-charge interconversion are topological insulators like the alpha phase of tin. 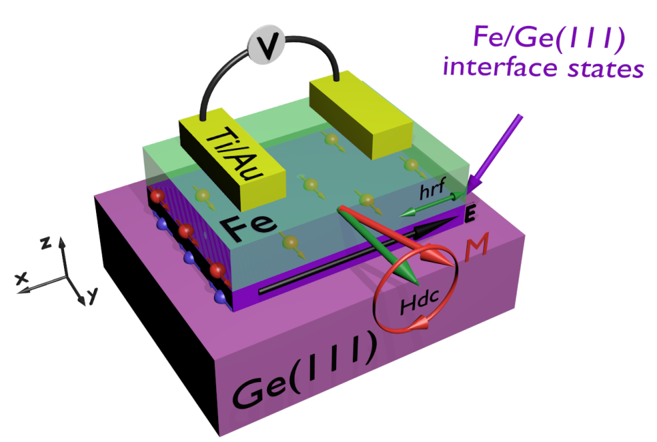 In these materials, spin-to-charge conversion occurs at the surface or interface: by growing these materials onto Si or Ge we aim at transferring the spin-to-charge interconversion into the semiconductor. (2015-present). The goal of this topic is the growth of single crystalline TMDs over large areas (typically cm2) for both the study of spin dependent phenomena like spin valleytronics and for the development of new 2D spintronic devices. 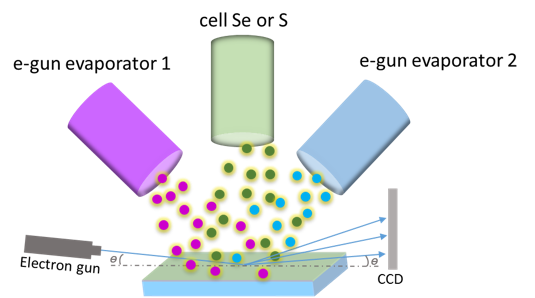 For this purpose, we use single crystalline substrates and the van der Waals epitaxy in a molecular beam epitaxy machine. Our efforts then focus on electrical and magnetic doping as well as on the growth of heterostructures. For the full list of publications See the personal webpage of Matthieu JAMET, Alain MARTY and Céline VERGNAUD.